Product prices and availability are accurate as of 2019-04-20 01:42:07 PDT and are subject to change. Any price and availability information displayed on http://www.amazon.com/ at the time of purchase will apply to the purchase of this product. Don't fret over planting in your backyard's soil. Pile the Greenes 2 x 8 ft. x 10.5H in. 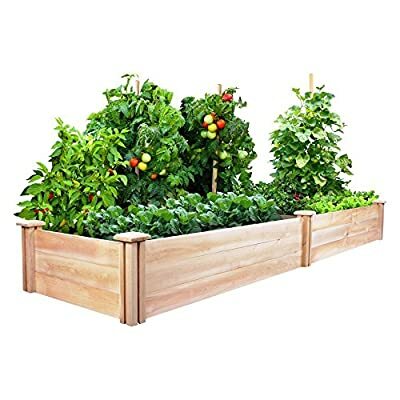 Cedar Raised Garden Kit with prime soil for growing fresh herbs and vegetables or a prize floral display. The bed is crafted with chemical-free cedar wood that's left unfinished and is naturally resistant to rot and insects. Over time, it will develop a lovely patina—just another sign of how well-loved it will be. Quick and easy tool-free setup. Based in Cleveland, Ohio, Greenes Fence Co. is family-owned and operated and devoted to offer the best in high-quality, long-lasting lawn and garden products. The company's selection of fences, wooden edging, garden stakes, and raised-bed garden kits are sold across America?and made right here in America, too. 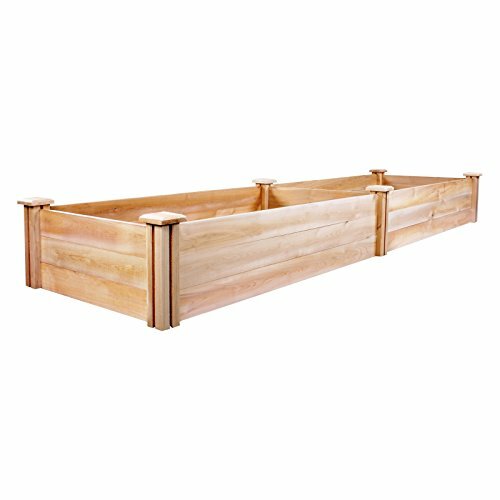 Dimensions: 24L x 96W x 10.5H in.. Chemical-free cedar wood. Natural finish. Naturally rot- and insect-resistant. Quick and easy tool-free setup.